Swanton’s Derek Floyd brings in two runs with a base hit in the bottom of the second inning Saturday versus Northwood in the season opener. The Bulldogs handled the Rangers, 17-0. 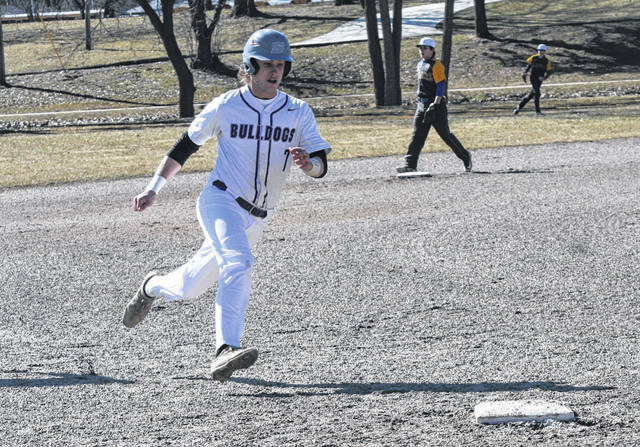 Roman Epley of Swanton makes the turn at third base and heads home for a Bulldog run during Saturday’s game. He finished with four runs batted in for Swanton. 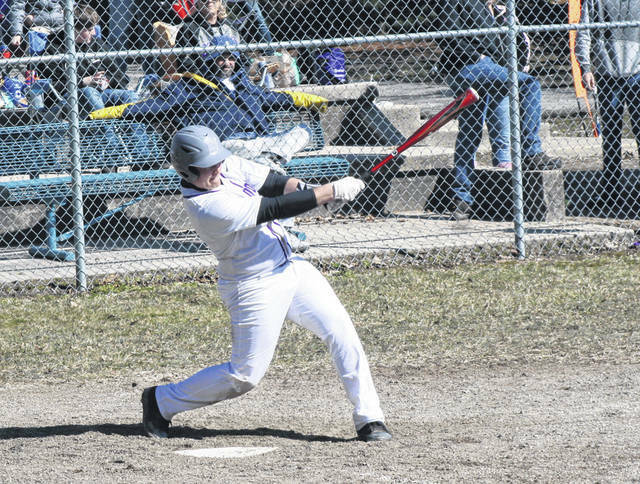 Swanton jumped on top early and scored often, downing the visitors from Northwood 17-0 in a game that went just four innings Saturday to open the baseball season. 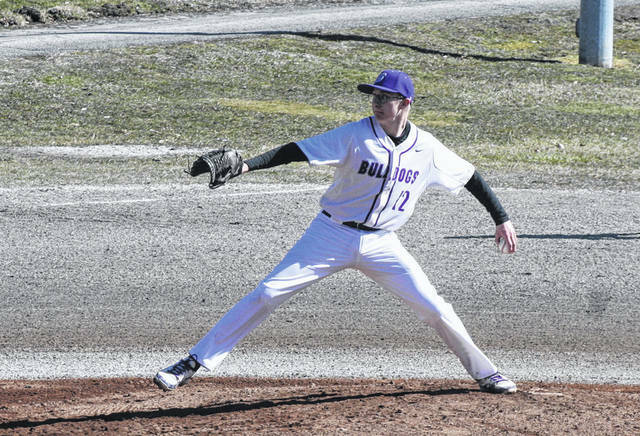 The Bulldogs went up 4-0 after the first inning, scoring three times off wild pitches plus Billy Nowakowski’s RBI single that brought home Roman Epley. Swanton pitcher Jayde Kruzel then sent the Rangers down in order in the top of the second, leading to a big inning from the Dogs in the home half of the frame. Carter Swank registered a leadoff walk, Michael Lawniczak followed with a base hit, then after an Epley fielder’s choice which got Swank out, Derek Floyd singled in a pair for a 6-0 Swanton lead. Later in the frame an Austin Luce blooper would plate Floyd, while Nowakowski scored when the throw came in off target. After a flyout, Tommy Chonko reached on a mishandle at first to score the ninth run of the game for Swanton. More runs came in on hits from Swank, Epley, Floyd and Luce as the Dogs led 15-0 heading into the third. The big blow was Epley’s bases-clearing double to left center field. Northwood put runners on the corners with two outs in the top of the third, but Kruzel made a diving stop on a roller back to the mound, rolled over to his feet and tossed to first to end the threat. The Dogs added a pair of runs in the bottom of the inning, plus they again set the Rangers down in order in the fourth, ending the game via the run rule. Kruzel picked up the win on the mound, allowing just two hits and striking out three Ranger hitters. Epley paced the offense, going 3 for 4 with four runs batted in. Floyd added two hits and three RBIs. After hosting Evergreen Monday, Swanton is at Start Tuesday and Otsego Saturday before hosting Eastwood Monday, April 1.